To help provide a robust platform for our reporting, analysis and insight generation, the Business Intelligence team have been working with IT and Thoughtworks colleagues to successfully deliver the Children’s Data Warehouse project. A Data Warehouse is a complete, authoritative and consistent collection of data from multiple source systems, designed primarily to allow for easier reporting and analysis, providing a more comprehensive view of performance. 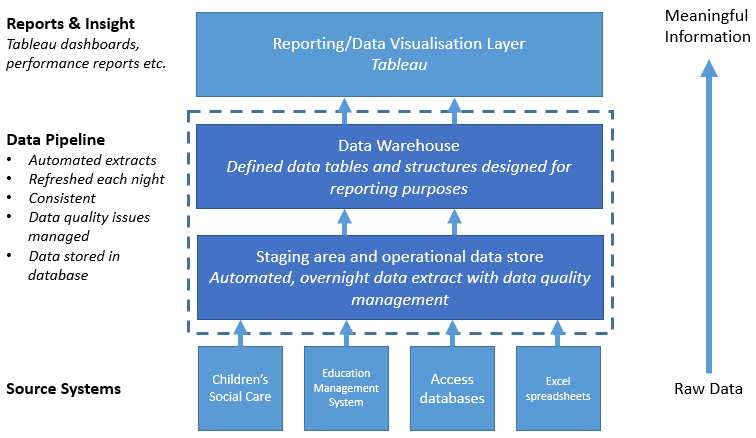 The diagram below provides an overview of the main processes for transforming the raw data from multiple operational systems into meaningful information that can be used for decision making purposes. Work started in April 2016 to help identify the scope of the project, the technology we would be using and agree the framework for how the project would be delivered. After the design, build and test phases were completed, the new system immediately began delivering some of the improvements the project set out to achieve. What benefits are we seeing? The benefits of this new system were fully realised during the recent Children’s services Ofsted inspection where queries from inspectors could be responded to quickly. 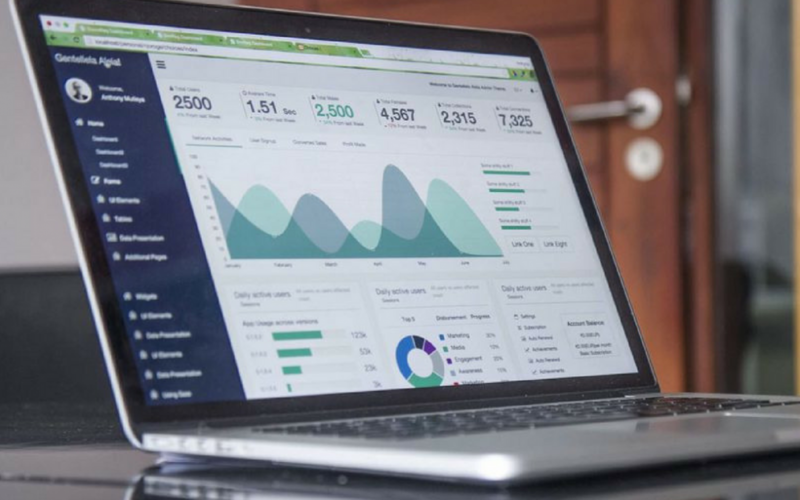 It is also now feeding a number of dashboards via our new reporting layer, Tableau, and has allowed the team to replace reports that previously were generated in Microsoft Access and Excel allowing for more efficient use of time. This is just the beginning of our data warehouse journey and, aligned to our Business Intelligence programme, we are about to embark on an ambitious schedule of work to further enhance and enrich the data warehouse, bringing in more data from other source systems to provide a richer picture of the organisation. Look out for further updates soon!